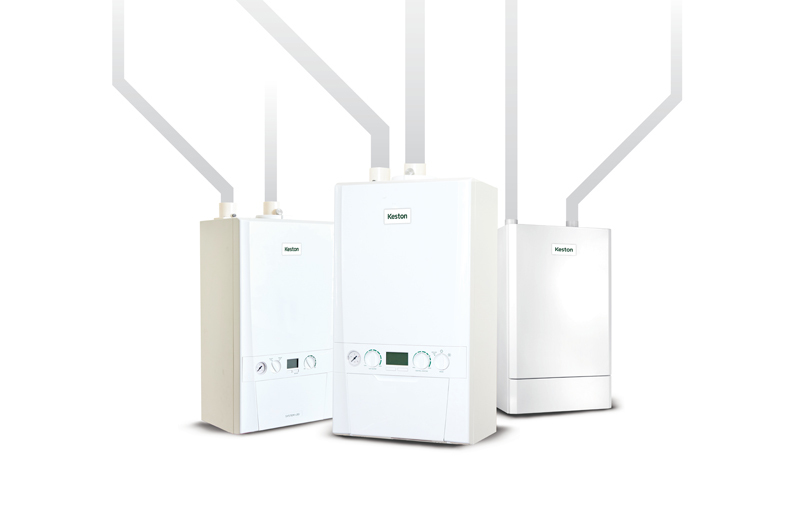 Keston Boilers has announced new warranties for its range of British built, wall hung, twin flue boilers. Keston System and Combi ranges, designed to be ideal for domestic installations with outputs ranging from 30 to 35kW, will continue to offer a five-year warranty. If a Keston 22mm System Filter is also installed and registered with the boiler, the warranty is increased to seven years. This is a continuation of the warranty offered since the start of 2018, which has proved popular with homeowners and installers alike. If a higher output is required, for large domestic or light commercial installations, Keston Heat produces 45 or 55kW. Powered by natural gas or LPG, 2019 sees this range of boilers offered with a two-year warranty as standard which can be upgraded to five years if the boiler is commissioned by Keston. To make this easier for installers and building owners, installing a Keston 28mm System Filter at the same time as the boiler activates free commissioning. This is applied for via an online form on the Keston website (www.keston.co.uk/commissioning-form). Only single boiler installations are eligible for free commissioning. All Keston boilers come with the Twin Flue system which gives maximum flexibility in siting a boiler. With flue runs of up to 27m possible, a Keston boiler can be situated in any room, any place, anywhere.